Our company deals in creating storage space capacity in one single point for various servers and facilitates you with data backup and with minimum time usage. We also make it easier to store your data providing you with a simplified process and making it effective and centralized with optimization and reducing the cost of operating. Our company uses the most common storage consolidation architectures such as SAN or Storage Area Network, NAS or Network attached Storage and RAID or redundant array of independent disks. Various OS environments can be consolidated into a single storage. 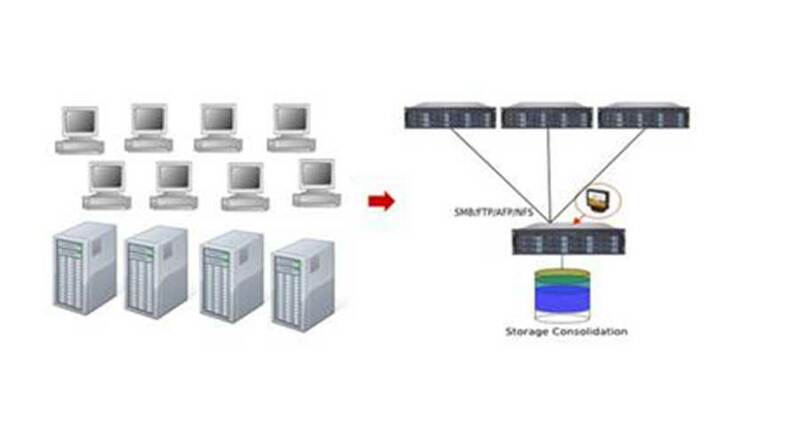 Less time consumes and the storage will be expanded with high performance and capacity. The expenditures of your Information and Technology will be less with simplified IT operations. It will also reduce your administration load with storage being in a single point. It will also protect your valuable data and will be easily assessable.